My Beauty Diary: Event: Etude Time 3 "Express Your Love With Etude House"
Event: Etude Time 3 "Express Your Love With Etude House"
Finally Etude Time 3 goes to Surabaya~ Yay! Last year, when many bloggers from Jakarta talked about Etude Time 2, I can only drool at their post. I really want to join the event! and looks like God hears my pray~ lol. 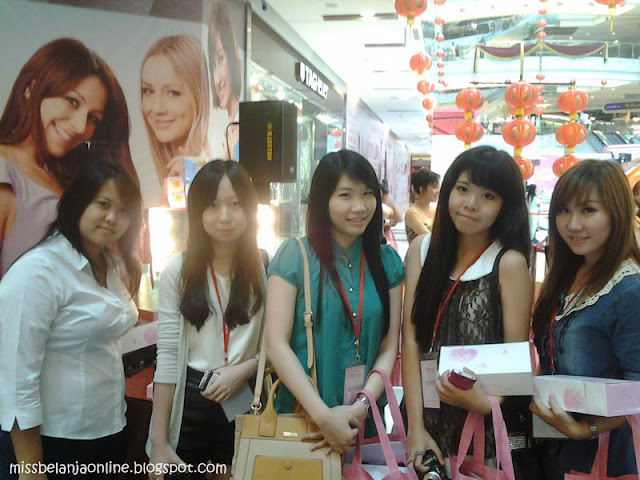 Etude House Celebrate their Etude Time 3 at Surabaya. This time the theme is "Express Your Love with Etude House". There are many fun activities in this event such as Make up artist competition, Cover dance competition, Jingle competition, Beauty Workshop, Make up demo from Korean make up artist, Fashion Show, Live DJ, and many fun games. On February 15th, I was invited to join the media gathering with Etude House. The gathering took place at Grand City Mall Surabaya. I was came earlier so I can saw the dance performances. It was really fun! I managed to saw performances from 3 different groups and the are really talented! and guess what is the famous song at that day? SNSD's I got a Boy! Almost all the contestants use this song to dance. Me personally not a huge fan of SNSD, but I like the song, especially the chorus part. After I enjoyed the dance performances, I went to registration table and then joined lalaa, who already came with her mom (and also Kiki, sorry for not recognize you before >_< I was hesitated to greet her at first because it was the first time I saw her in real life). After that,Yennyca and Pricill also joined the gathering with us. The gathering was opened with a short speech from Ms Yohanna Prieda as a Media Relation from Etude House. She welcomed us and briefly talked about the purpose of this gathering. After that Mr.Chris Choi (Business Development Representative Etude House Korea) explained the detail about Etude House's new product, Sweet Recipe. 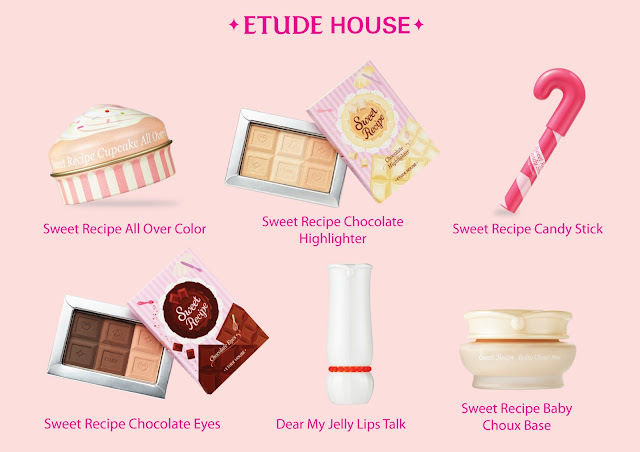 Inspired by "a fairy tale", Etude house launched their newest collection which has catchy color and cute packaging. Mostly the colors are from fruits like orange, mango, strawberry, lychee, plum and combined with the fragrant of candy and voila~ The Sweet Recipe is born. Sweet Recipe is a make up series which consist from Base, lipstick, lipgloss, eyeshadow and highlighter. All sweet recipe collection will be available in store by the end of April. 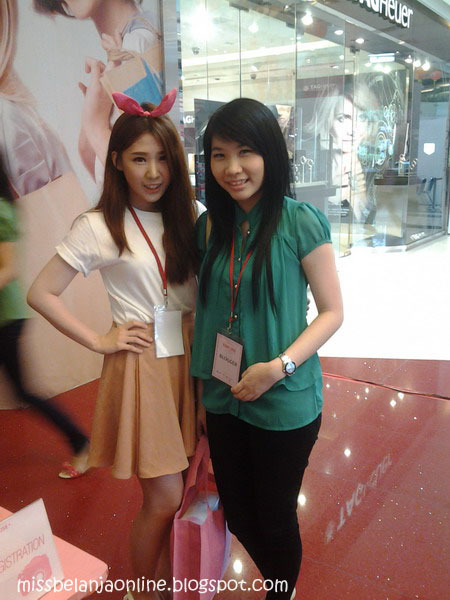 Also presented at that time is Ms. Melia Erlina (General Manager Etude House Indonesia). She talked about the growth of Etude House's consumer and why choose Surabaya as their next destination of Etude Time. The next segmen is make up demo by Ms. Goo Eunjung (Yes, she is korean!). She can't talk in English so she came with a translator beside her. All I can understand is her Insa (greeting), she said "I'm makeup artist from korea, Goo Eunjung. Nice to meet you" ~ lol just a basic korean, but I'm glad I understand her eventhough only a little. Okay, that's all my report about this event. I hope you enjoy my blog post. hiii, thx for leaving a sweet comment in my blog :D. That looked like so much fun, drooling over you goodie bag :D!